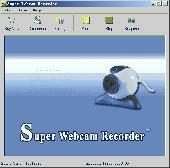 Super Webcam Recorder is a simple, yet fully-featured software tool designed to help you capture streaming video and snapshots. Super Webcam Recorder is a simple, yet fully-featured software tool designed to help you Capture Streaming Video and snapshots. You can record Video clips quickly and easily, Capture a series of images with one click,trim and enhance videos and much more. WM Recorder 15 is the easiest, most powerful way to record streaming video & audio. WM Recorder 15 downloads video, including online videos, screen captures from sites like Netflix/Hulu, has an audio recording tool, a converter, scheduler and more! 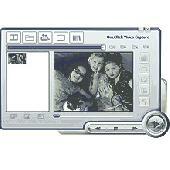 CuteFLV Streaming Video is a easyt-to-use Video Streaming software. It can help you post Video files to website or BLOG with clicks. You Can Quickly and Easily Publish Full-Motion Streaming Videos From Your Website It doesn't require the complicated Flash authoring tool and Flash development tools.